We humans are prone to failure. We're experts at muddying, mixing, and messing up our lives. Who among us hasn't looked up from the bottom of a pit and realized he dug it himself? And it's at these low points that we crave reminders that there's hope for the broken. 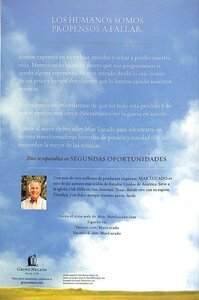 About "Segundas Oportunidades (Second Chances)"